Alas, my Asparagus endeavors were only half successful today. 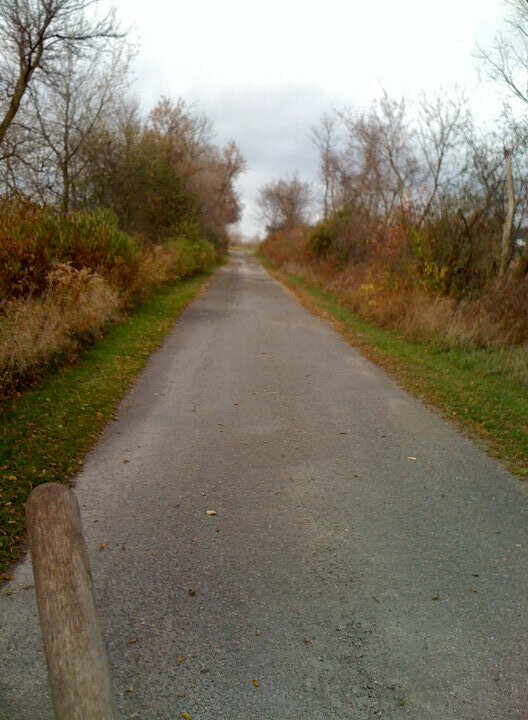 Despite the warnings of terrible weather ahead, I pulled on my plum-colored muck boots and trudged the length of the driveway towards the asparagus patch by the road this morning. I was feeling kind of light headed (and had felt the same on my morning bike ride) but trudged on figuring it was more to do with the weather than anything else. By the time I finished with my tenth crown, I had realized that it wasn't just the funky weather making me light headed. Unfortunately I ended up blacking out and falling into a patch of asparagus (not altogether unpleasant. lol.) Apparently I've picked up a bug from a student of mine and am now tucked away in bed with my laptop, a club soda and some chicken noodle soup. Ew. After a quick phone call Jeremy, my DH, brought the car up the driv e and we packed the asparagus roots and some of the fronds into the back before he drove me back to the house. All in all it was a good haul for my first trip. I have at least ten crowns, probably more. I haven't pulled them all apart yet, and it's likely I've damaged a couple in my attempts to dig hastily, but I'm sure I've got some that'll survive! I have to admit there is something that I find so amazingly adorable about asparagus crowns. It's like a little baby alien or something, with all of it's little premature shoots ready to sprout and it's thick tuberous roots sprawling all over. The leaves have changed and are falling in abundance here in Michigan. The sumac is red and brown; the poison ivy is a variety of beautiful colors, showing off white berries against russets and golds. The fall migration is nearly done and we are left with juncos and chickadees where it feels like only weeks ago we had orioles and grossbeaks. The blackbirds are massing and wreaking havoc on the driveway that we share with the grain farmer. He drops grain each time he harvests soy and corn, so we are a real hot spot for the blackbird/starling migration. The huge masses of birds twist and turn in a sort of translucent blob above the fields e ach morning and evening. It's pretty intimidating, and ultimately fascinating. The fall is in full swing, winding slowly into the start of winter, though today it was 75 degrees and sunny. While thinking of fall and winter and the inevitable cold weather doldrums this morning I noticed a very bright yellow patch in the brush along the road beside our driveway. 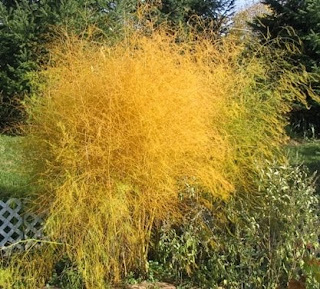 I slowed to a crawl and realized I was staring at a huge patch of wild asparagus, it's color changed to gold for the fall. The patch is almost four square feet, and my guess is that it's terribly crowded and overgrown. I also discovered two other patches on the way to work at the horse farm later. I decided, after some reading, that I'm going to try to transplant part of that patch into my own garden. I know it's a very difficult task ahead of me, but the asparagus seedlings I have planted now are literally years from producing. The reason I didn't notice the delicate fronds of the wild asparagus this summer is that the county uses those huge brush hogs along the sides of the road to keep it from over growing. This asparagus has very little hope of ever producing much since they chop it down repeatedly throughout the growing season. Therefore it's up to me to rescue it! Okay, I'm being a little silly. I really just want to harvest asparagus sometime next season and from what I've read with a bit of elbow grease it's possible to transplant mature asparagus in fall, in order to harvest spears the following year. In honor of fall bed prep I have decided to buy a new used tiller. I have been using my late grandfather's adorable little mantis for the past several years and while it's done me great service I think it may be time to retire it to work in the raised beds up front. I have found a troy-bilt junior for a very reasonable price. It has a strong trans, clean carburetor and new spark plugs. It's 3.5hp, 15" width, 4 stroke and rear tine. My little mantis is somewhere between a .9 and 1.3hp, 9" width, 2 stroke front tine tiller so making the jump up to 3.5hp and 15 inches should be pretty great! I'll be doing most of my fall bed prep with cardboard, composted manure (horse and duck), straw and tilling this year. I'm going to be starting a few large beds out in the back of the old orchard and I'll have to put up some considerable fencing to keep the sheep out I'll wager, but they only have access when I let them into the orchard anyway, so that'll be supervised and sporadic. I'm looking forward to having sheep to complain about. Something else I'm looking forward to is dividing and planting time for fall raspberries! I may consider using Miller again, but I've had patchy success with their plants in the past, though they've always tried to replace their dead plants with less-dead plants if I complain. Edit: Uh oh. I just discovered Nourse Berry Farm has 2011 ordering open already, and they're offering Mara Des Bois strawberries again. I might be in trouble. So I've finally got my plans solidified with the sheep breeder over at Queso Cabeza Farm. She has been so amazingly helpful and I feel confident that her sheep are high quality, well bred and well cared for. Some time in December I will be bringing home three sheep. Yes three. 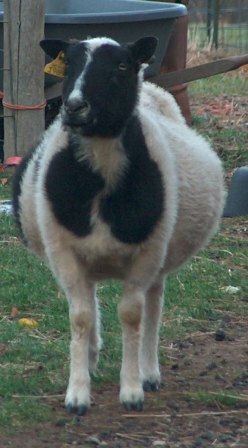 Laura was concerned by my original plans because I wanted to bring home a ram lamb and a ewe lamb as my first breeding endeavor. The problem with this is that ewe lambs really benefit from having another ewe to watch and learn from, and they often only produce a single lamb, or they don't produce at all. If she were to have a single lamb it would have nobody to play with. She has offered me an awesome package of two ewes and a leased ram lamb to get me started. Ingrid is black, carries spotting and is polled (has no horns). Icelandic sheep come either polled or horned. While the horned sheep are really something impressive to look at, I have apparently fallen for the polled sheep since after I discovered them I pretty much only looked at them as possible sheep for purchase. The other ewe I will bringing home is as yet unnamed. 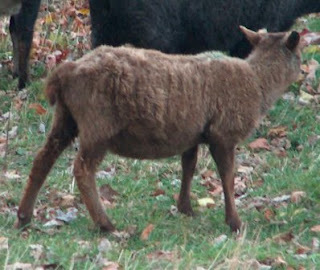 She is a solid moorit with great fleece and apparently her dam was a great mother. She's super cute, and as I'm a total sucker for anything moorit (red brown), she's the ewe I want to start my breeding program with. Along with these two beautiful babes I will be bringing home a leased ram lamb. QC isn't sure yet which ram I'll be bringing but they're pretty sure it'll be either a solid moorit or a black badgerface (like the little lamby in the post previous to this one). Anyway, I'm excited to get this rolling. I need to finish putting in my fence this month so that it has time to settle. I have my posts marked out and I have all of my supplies for my electric. I'll be putting up woven wire fencing with two strands of electric, one at nose height to deter nosey little sheep considering the greener grass on the other side of the fence, and one at the top to deter nasty predators considering the sheep on the other side of the fence. If I have enough I may do a third strand at nose height on the outside of the fence as well to deter any predators with the notion of digging. On top of all this fence building, I have to get my deer fence up around my raspberries asap. In fact, It just occured to me that since my charger is a 5 mile charger and I really only need a mile or two I might actually put an electric wire around the raspberries to really deter the deer.... Hmm.. It's strange. My blog server seems to be having trouble posting today. Hum. I think it's more to do with my slow internet connection, but hey- slow is better than nonexistent! I spent my late-morning working on the barn today. It's really in sore shape, and I've been putting off most of the work because, well, it's super creepy in the barn. There are random children's desks, broken bottles, and dirt, cobwebs and dead animal bones from when the coyotes were using the barn as a den (before we lived here). Creeeeeepy! First I re-set all of the doors and gates. Over the year they had all sagged or warped making each and every one completely non-functional. I reset two gates, one door and two sets of dutch doors. Now, aside from a terrible creak from the primary dutch door, they're all functional and easy to use! I need new latches for a couple of them, but it's a start to have them functional I guess. After the doors, I turned my focus to the clutter. I was able to wedge all ten of the bizarre and icky children's desks into the old storage room, out of the way. Because we're renting, I really don't have the right to throw anything away, but I don't have a ton of storage either. I figure they'll be out of the way in there and I can pretend they don't exist. Hah. It was shortly after I finished with the desks that I noticed the place where the wall was coming off the barn. This barn is in super sore shape. It isn't going to fall over or anything, but the foundation has broken and one wall is leaning away from the rest of the barn, leaving a big ol' hole roughly coyote sized. I spent a good hour with various pieces of old wood that I found lying around, carefully fitting, sliding a piecing together a makeshift patch. It's actually fairly solid, and is helping to hold the wall in place, while also acting as a pretty decent predator block and as an added bonus, it is aesthetically less-terrible than the wall was before. I don't have a ton of other photos, and it doesn't seem to matter much, as my blog server is apparently not going to let me upload them (meh) but in addition to all of this, I started leveling the floor and dusted about a gazillion cobwebs off the wall. It'll probably only take another day or two of work in the barn to get the interior fairly set for inhabitants. We're getting a shipment of bedding straw (for sheep and for mulching) tomorrow and I've got the pallets all ready to stack it. It's really sinking in that I'll be bringing home little pittery pattery cloven hooves in a few months! I can't wait! My other aspiration is to have the barn ready with a poultry coop inside by next spring so that I can talk chickens with my land lady. I'd love to raise some meat chickens, as well as maybe six egg hens. The ducks are good layers, but nothing really compares to fresh chicken eggs. Now that the wedding is past, however, my brain has launched back into full fledged sheepdom and I'm staying up at night counting sheep - Literally! It took me forever to figure out what I wanted to do. I finally decided on Icelandics because of their fiber, meat and milk production, not to mention their beautiful colors and fairly predictable color genetics; How could I not? The question then was how many of what gender? Get a bred ewe, an unbred ewe and a ram? Living adjacent to a golf course, I'm not ready for a ram; they're called rams for a reason. Get a bred ewe and a wether? Closer... but as I am limited to the number of adult sheep I can have at a time, I really don't want to keep a wether unless it's temporary.. So I have a tentative plan. 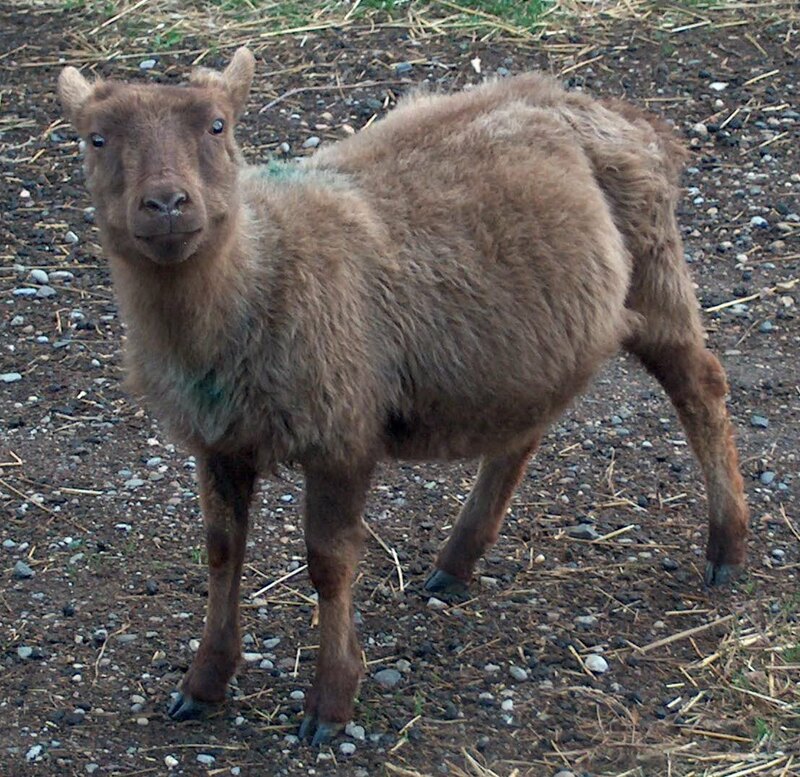 This January I plan to bring home one bred ewe and a wether for a buddy. In the spring, she'll lamb, and theoretically I'll end up with 1-3 lambs, hopefully one of which will be a female. Then in late spring or summer I may sell my wether and bring home another ewe, bringing the final total to two or three ewes. My ewes will be pets, and ram lambs will be sold if breeding quality, otherwise they'll probably be culled. My goal is to have two or three ewes and to find a stud-ram to come visit them next fall. Giving me the possibility of 3-9 lambs the following year that I can sell, keep or cull. Hooray for math! I've been staying up late thinking this over for days. I thought counting sheep was supposed to be relaxing! There are a couple of sheep I'm considering, though the more I think of it, the more I like polled (non-horned) Icelandics. It's an aesthetic preference, actually. Nothing more than that. 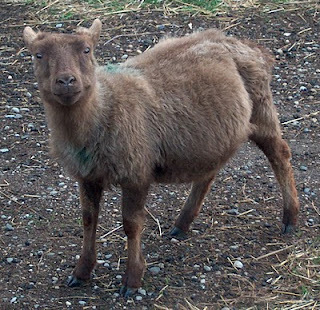 The Icelandics seem to have the most attractive color variations, with brown or black base coats, and grey, mouflon, badgerface and white colorations, and then spots or no spots... So cool! I have to get my T-posts today and start driving them in. At the same time, while I've been planning my sheep fields, I've been planning my gardens for next year as well. It's pretty bad that I'm already in the planning that should be taking place two months from now. I have plans for at least two cold frames, as well as several new raised beds and possibly a hoop house... Oh boy. You'll hear more about that later. I'm out of control. We spent the morning with friends and family, setting up the various silly little things for the wedding... and of course then it rained so no one really got to see or use much of the things we set up, but that's alright. When it came time for the ceremony, nobody really cared. The ceremony was brief, completely our own, and accompanied by misty, blowy showers of rain. As soon as it was finished, everyone fled to the tent, while the wedding party ran around the historic estate that we rent part of and was forced to stand in the rain for photos. After this, we too quickly ran for cover. I switched into my party dress, which became a much greater asset than I ever imagined, as my wedding dress was completely soaked by the time we finished photos, and I was f-f-f-f-freezing. On a whim, earlier that day, I had my brother (my maid of honor) run to the tractor supply co. and pick up four pairs of plum colored muck boots. Added to the wool socks and TSC gift cards, I'm pretty sure there never were more fitting bridesmaids gifts. My bridesmaids, all but my brother, are all horseback riding instructors and horse owners, and living in Michigan we have a cold winter ahead of us. It seemed appropriate. Of course my brother (who I just realized never took his gift: it's sitting right here) was gifted fancier wool socks and a Banana Republic gift card. Hahaha. He's not one for plum muck boots, much. One of the greated highlights of the wedding for me was the cake. My beautiful wedding cake (see left) was carefully crafted by a student of mine (who happens to be 12!) She made the cake herself, while her mother helped her to make 97 cupcakes! The cake is while almond cake with vanilla frosting, and the cupcakes were white cake with chocolate-hazelnut mousse inside, white frosting, and a royal frosting flower on top of each in our wedding colors. It was fantastic! The sunflowers on top of our wedding cake were from my own garden: volunteers from beneath my birdfeeder, actually. Finally as the night wore down the rain let up and we tromped through the orchard paths to the home-made photo booth. It seemed like a hit, though there were only a few people still around. We now have nearly 100 embarrassing photo booth shots of our friends and family- Hooray! It was an excellent adventure, and a ton of fun, but I don't think I'll ever plan an event for 120 people ever, ever again. Now I get to pick up the remains of my garden for the fall season and daydream about spring planting.